When you go through your morning makeup routine, your goal is obviously to improve your appearance. But how is that seemingly harmless, perfectly applied layer of powder really affecting your skin? Most of the time, makeup doesn’t have any major negative effects — other than maybe the early-morning frustration of applying it. However, it could cause a few skin reactions. Most of these reactions aren’t severe or long-lasting, but you might want to know how your makeup is affecting your skin. Some people experience allergic reactions to common cosmetic-product ingredients. These reactions can come in two types: irritant contact dermatitis, which is an itching or burning reaction to a product irritating the skin, and allergic contact dermatitis, which is more of a “true” allergy to specific ingredients that results in swelling, itching, or blisters [source: American Academy of Dermatology]. Both of these types of reactions are most commonly caused by things like fragrances or preservatives in makeup and other skin care products. Makeup can also cause acne. You’ll usually be fine if you’re diligent about removing your makeup at the end of the day and immediately after exercise. However, certain oils in many cosmetics can cause or worsen acne. This type of acne, appropriately called acne cosmetica, is mild, common and characterized by blocked pores and reddened bumps on the chin, cheeks and forehead. Acne cosmetica occurs when oils from your makeup collect in and clog your pores, so thick liquid or cream products are more often culprits than are lighter products like powders. To help avoid these reactions, look for makeup products that are fragrance- and oil-free — these ingredients are typically the most irritating to the skin. Also, look for products that are labeled hypoallergenic (they’re less likely to cause allergic reactions), noncomedogenic (they won’t block pores) and nonacnegenic(they won’t cause acne), although none of those terms are necessarily regulated by the U.S. Food and Drug Administration. 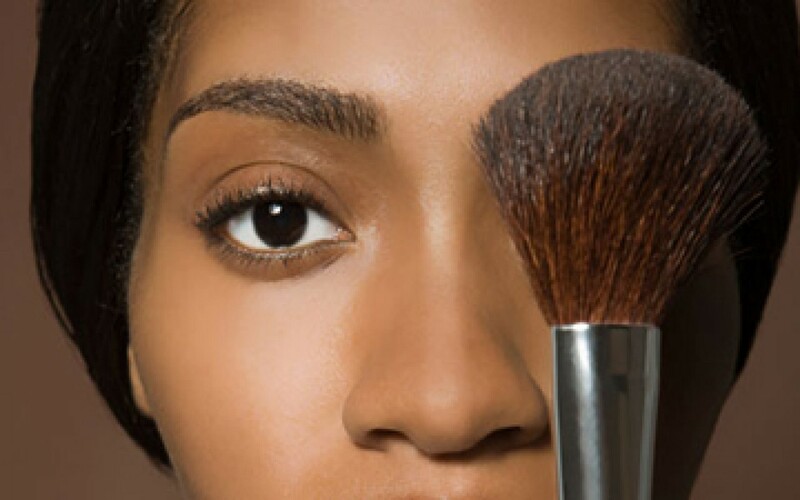 If you find that you develop any kind of reaction after you begin using a new makeup product, it’s probably a good idea to stop using that particular product. But with a good skin care routine and quality makeup products, you can help prevent negative reactions.